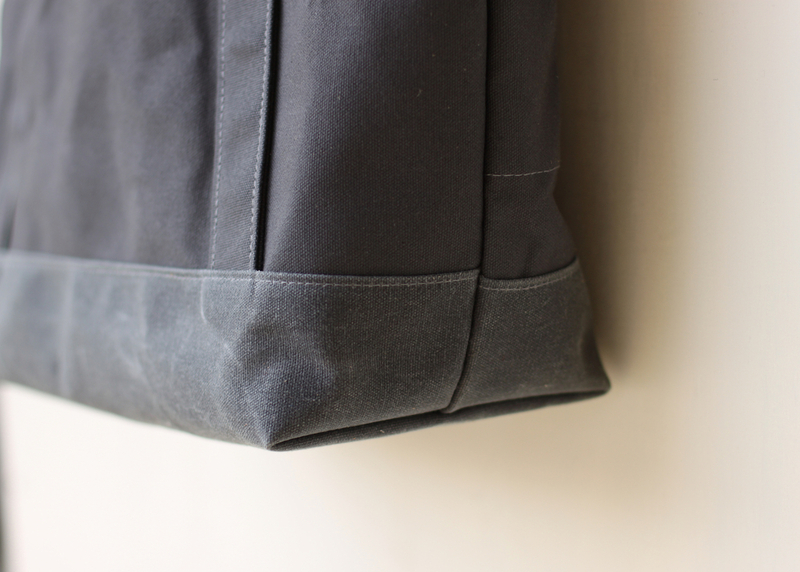 What makes this particular version stand out is the top cinch is made from Cone Mills Denim that has been waxed. This is truly a unique fabric that combines one of the world's most respected denims, with one of the most interesting fabric treatments. 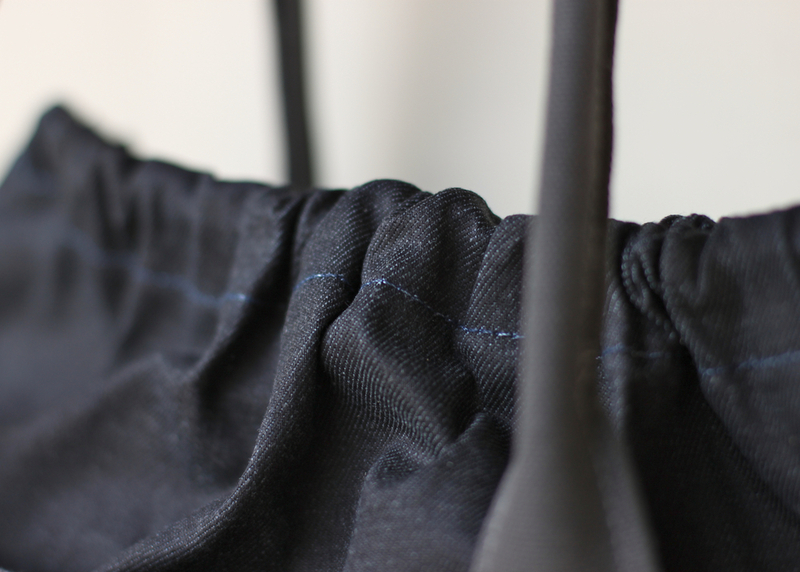 NOTE: Although it is waxed, the indigo does transfer especially to light colored clothing, paper, etc. If that is an issue, this is not a bag for you. The main body is weather-resistant canvas, as are the handles. We’ve added a grommet/tether detail similar to that found on our Brimfield Bag, which is useful for finding keys that get lost in the bottom of your bag. Bottom is waxed canvas. The interior hardware is solid Brass and the hand-hammered rivets are Copper. Truly gets better with age, as most things worth holding onto should.